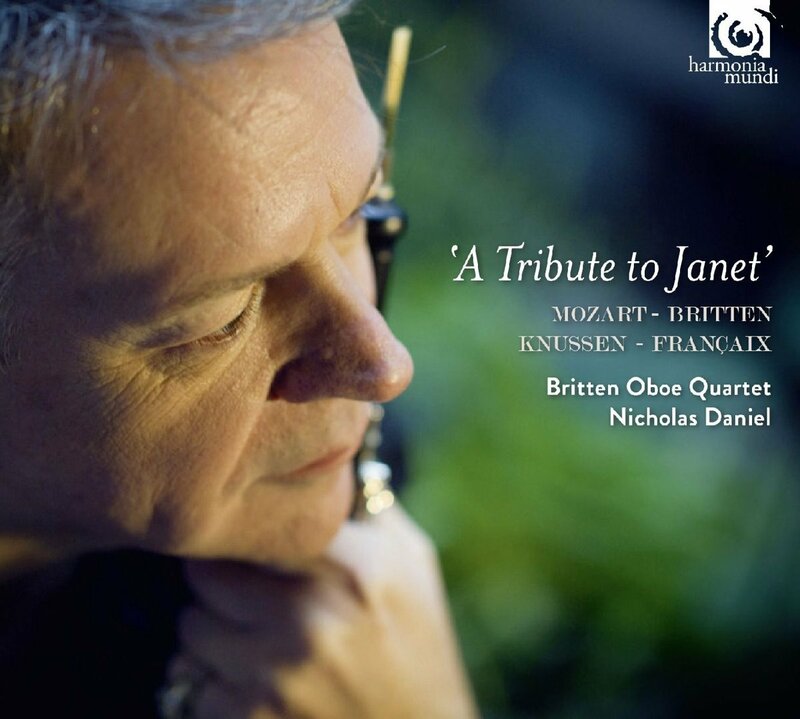 The Janet who receives a glorious tribute on the Britten Oboe Quartet’s debut disc is Janet Craxton. One of the finest British oboists until her death in 1981 at the age of 52, she was a founder member of the London Sinfonietta, the principal oboist in the BBC Symphony Orchestra, the dedicatee of many fine compositions (including two on this disc) and an inspirational teacher — not least to Nicholas Daniel, who won the BBC Young Musician of the Year under her tutelage and is the oboist here. Like the mercurial Daniel, the three string players in the quartet are principals in the Britten Sinfonia, and right from the start of Mozart’s Oboe Quartet the hallmarks of that ensemble — tremendous rhythmic vitality, soloistic virtuosity, interpretative boldness and seasoned rapport — are evident here. The piece is brilliantly articulated and characterised, but even better is Mozart’s unfinished Adagio, K580a, which Daniel has completed, very elegantly, for cor anglais and three strings. It’s wonderfully elegiac and haunting. No wonder that Mozart reworked its theme for his last motet, Ave verum corpus. The two works written for Craxton couldn’t be more different. Oliver Knussen’s Cantata, composed when he was 25, is like a mini-opera without words: full of coiled energy, convulsions, acrobatic demands, and then a strange lullaby section with the oboe floating plaintive lines over a disembodied rocking motif. Jean Françaix’s Quartet for cor anglais and strings is as witty and joyous as the Knussen is tense and serious. It’s also fiendishly hard to play, although you wouldn’t guess it from this sparkling romp. Sometimes it sounds as if ten people, not four, are involved in its intoxicating contrapuntal passages. And although I don’t much warm to the work, there’s also excellent playing on Britten’s Phantasy Quartet, an early piece full of ambiguous moods and clever thematic transformations.